This report describes in-depth our journey of tackeling the challenge of how the future of smart and connected street lighting in the city of Stockholm could look like. In our approach to redefining the challenge, we decided to focus on how how we might spark interest, knowledge and motivation for the public to participate in smart city development. 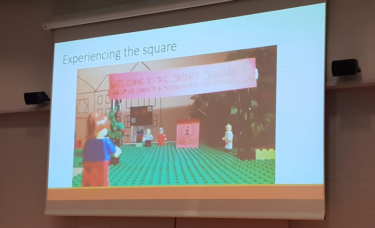 To solving this challenge, we developed the smart square, which develops a platform for creating various feedback channels between the city of Stockholm and its citizens. By using technologies, the smart square enables the citizens to participate in the future development of the smart city, and it provides the city with a mean to create sustainable and citizen-orientated smart city services.